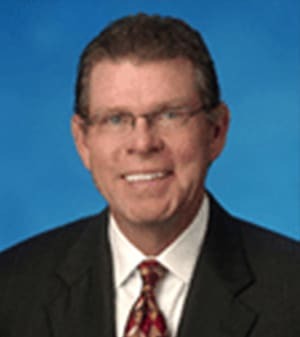 Jim is past President of the Academy of Rail Labor Attorneys (1998), and continues to contribute his talents and leadership to that organization. He is Chairman of ARLA’s Past Presidents Committee. The Academy of Rail Labor Attorneys (ARLA) is the national professional association of attorneys whose practice includes representing injured railroad employees in claims filed under the Federal Employers’ Liability Act. The FELA is the Federal law that protects railroaders and providers a remedy if they are injured on the job. He is also a member of the Denver and Colorado Bar Associations, and the Colorado Trial Lawyers Associations. He is a fellow of the Nebraska State Bar Foundation. Jim is admitted in Colorado and Nebraska. Jim has been selected as one of America’s best lawyers in railroad law. Jim earned his law degree from Stetson University in 1973. He received a B.A. from the University of Florida in 1968. He graduated as a Distinguished Military Graduate, and was Commandant of Cadets in the ROTC Program. Jim entered the U.S. Army as a Second Lieutenant in 1968. He completed Infantry Officers Basic Course and Jump School at Fort Benning, and then transferred to Special Forces Officers Candidate School at Fort Bragg, North Carolina. There he received training in Special Forces (Green Berets). Beginning in August of 1969, Jim served as a platoon leader and company commander with the First Division in Vietnam. In the second half of his tour, Jim was an Advisor to the Vietnamese Airborne Division. He was highly decorated for his service. Jim enjoys traveling with his wife, Cristi, and playing golf, fishing, and hunting.